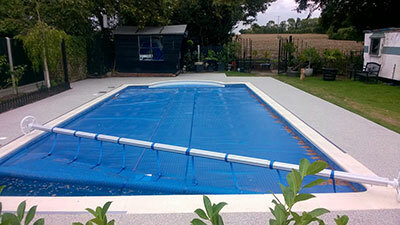 Keep your swimming pool safe without compromising on style. 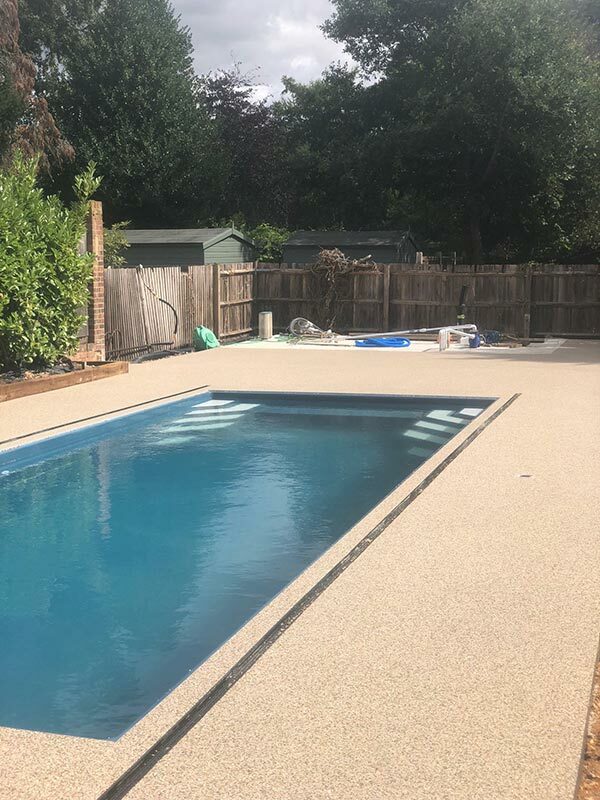 Providing the perfect blend of safety and style, our Swimming Pool Surround Surfacing Services is a great addition to your pool. 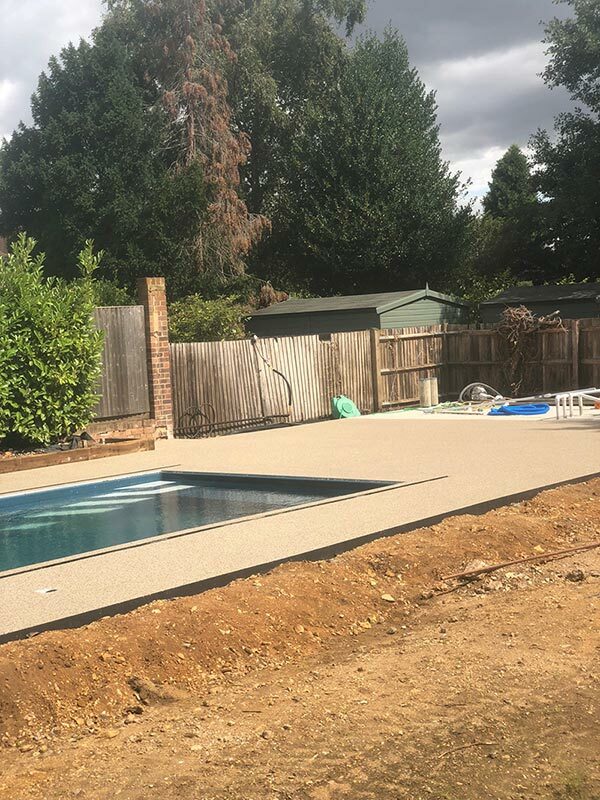 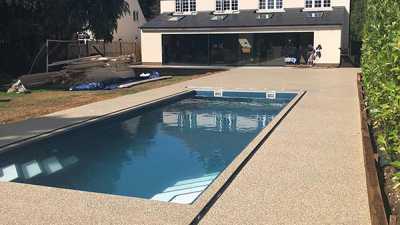 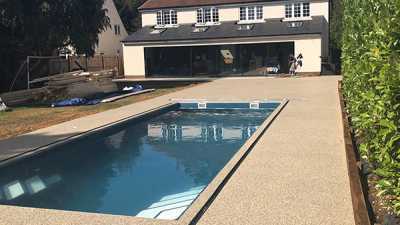 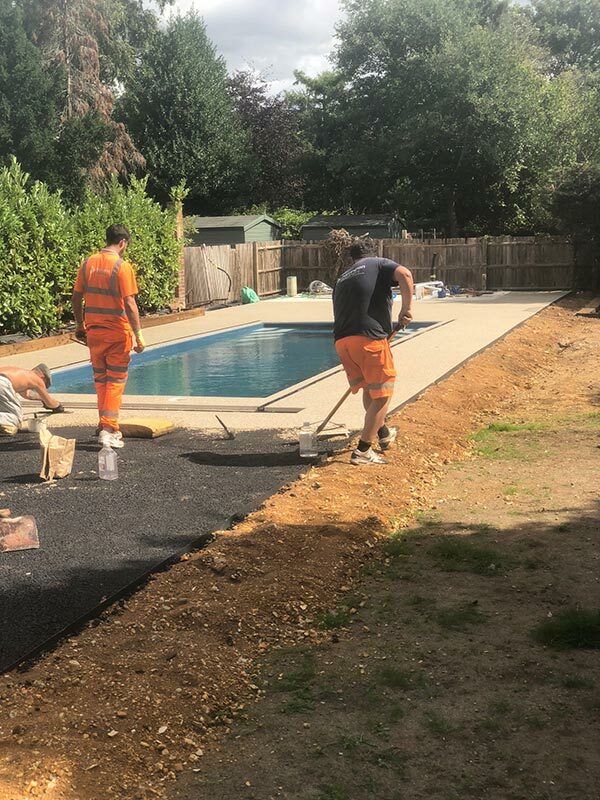 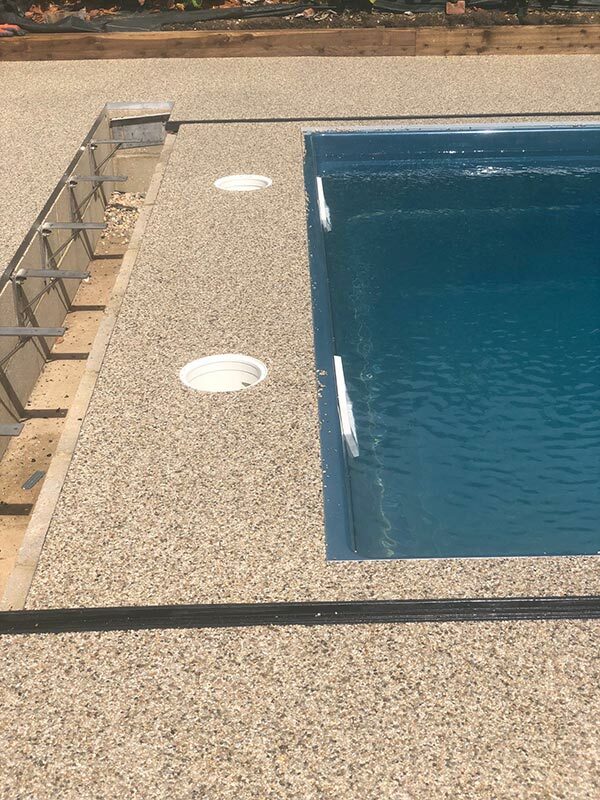 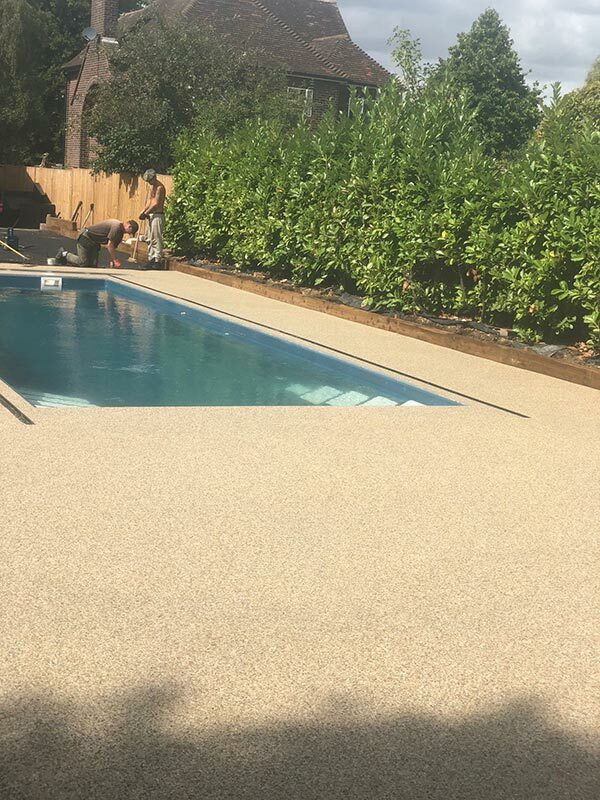 The skilled team at Harrington Brothers Contractors can design and install bespoke swimming pool surround surfacing for properties throughout Romford, Chigwell and Hertford, along with the surrounding areas. 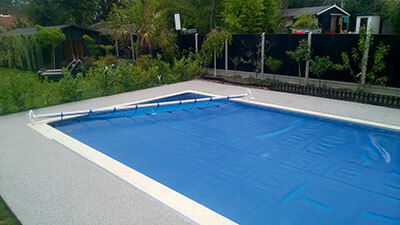 Swimming pool surrounds perform multiple duties, but are primarily installed to maximise personal safety around the perimeter of your pool. 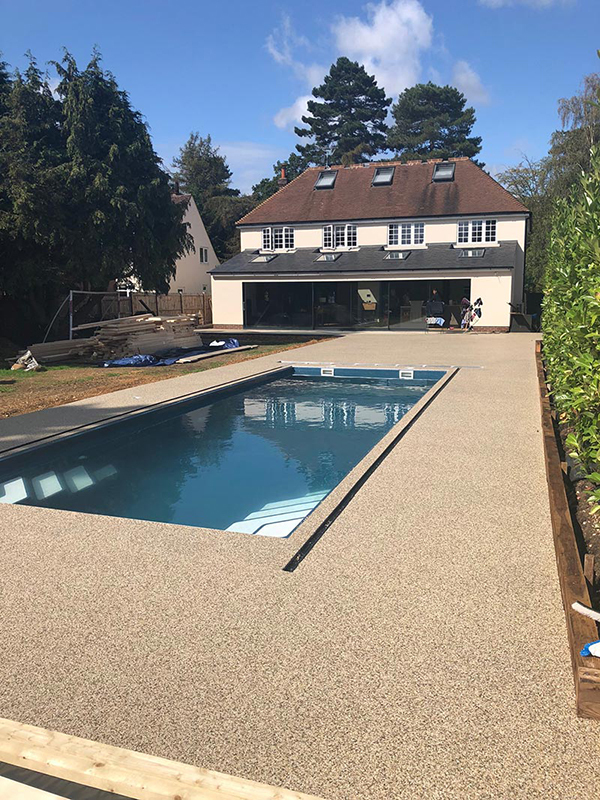 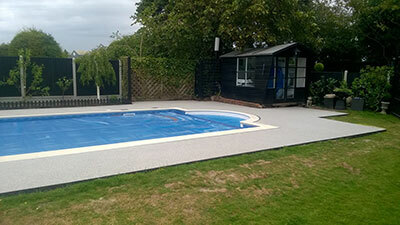 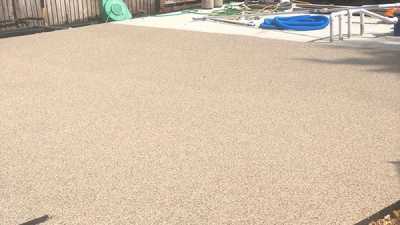 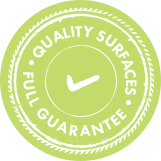 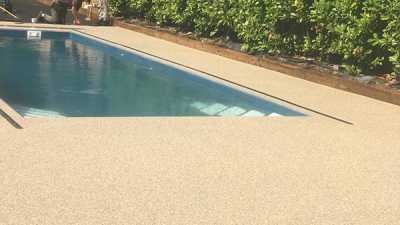 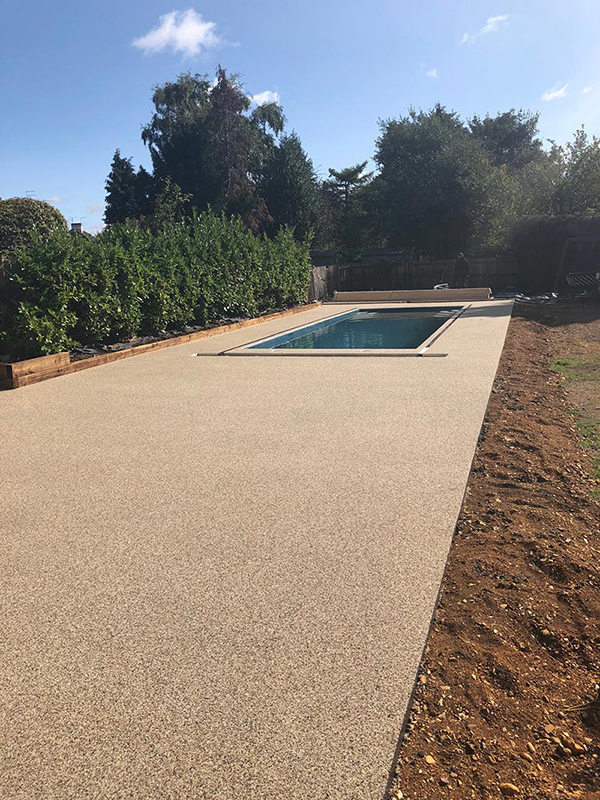 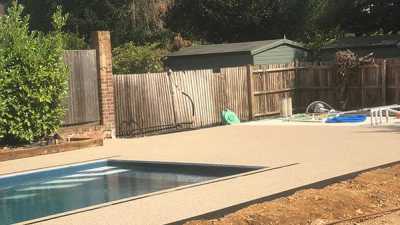 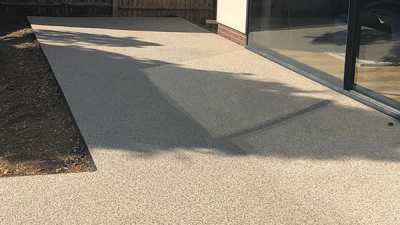 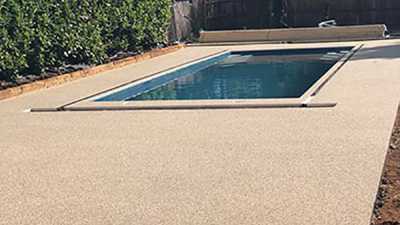 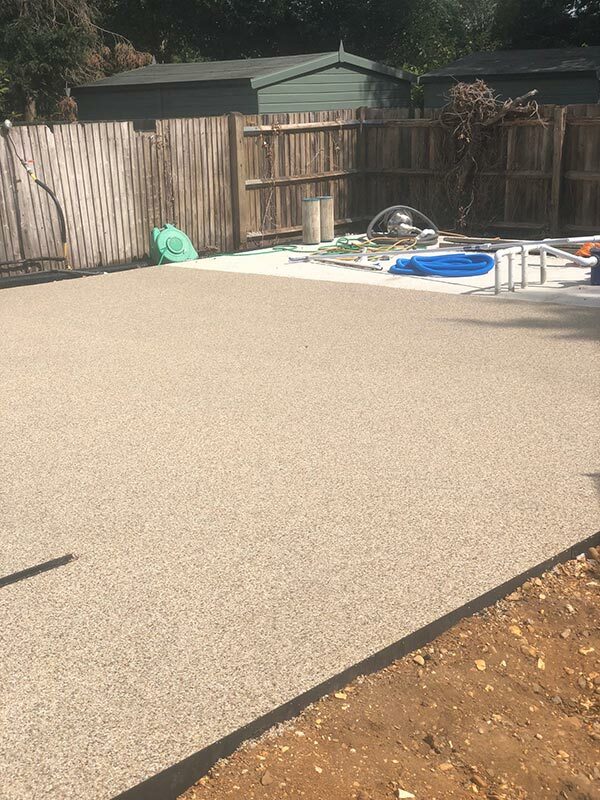 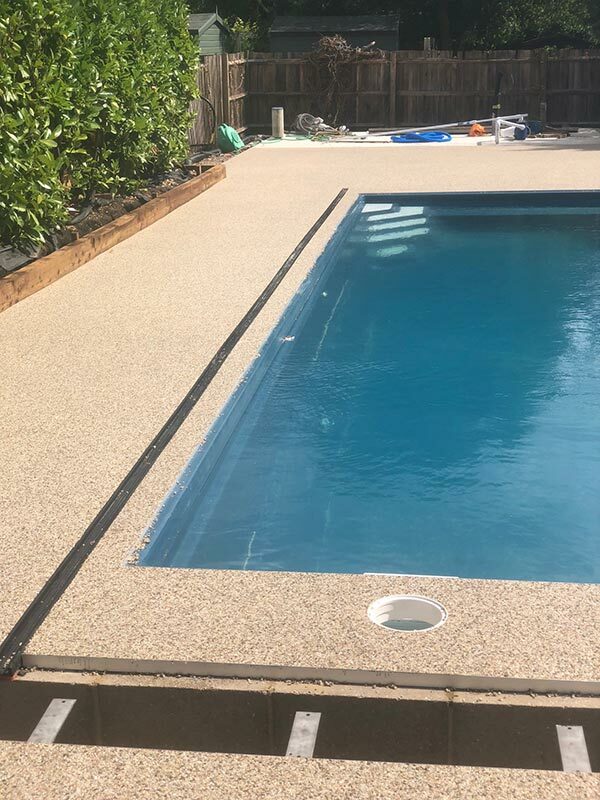 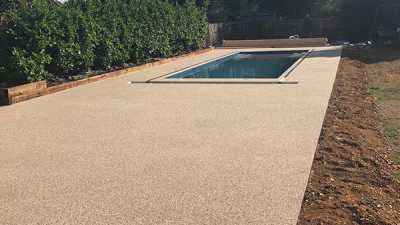 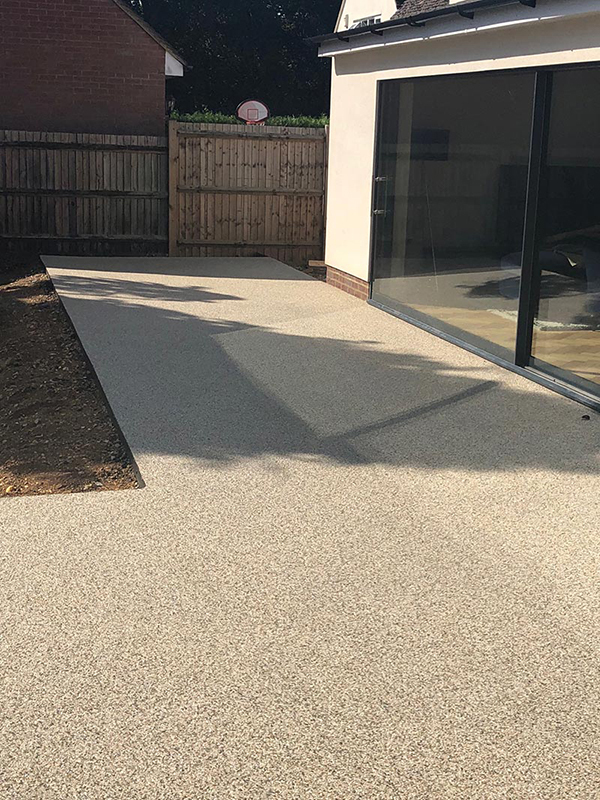 There are a range of non-slip pool surfaces you can choose from, including resin bound designs that will provide long-lasting service and require little-to-no maintenance. 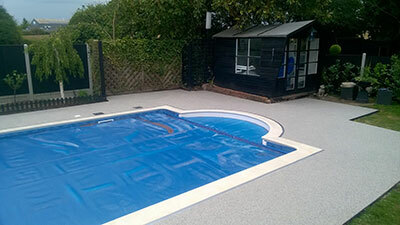 We work closely with you to ensure your pool surround is designed around your specification and tastes. 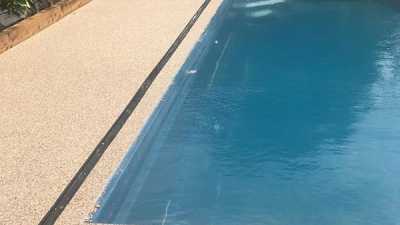 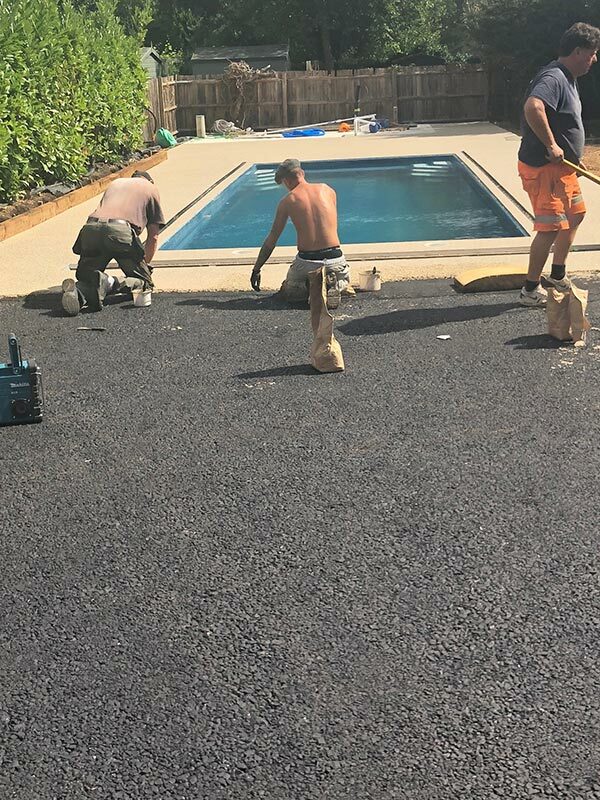 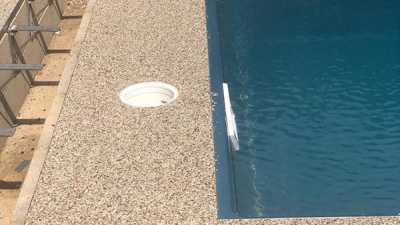 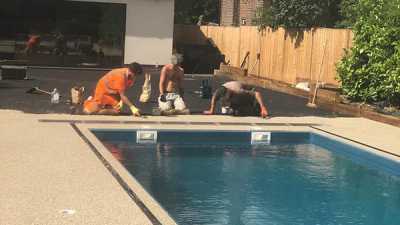 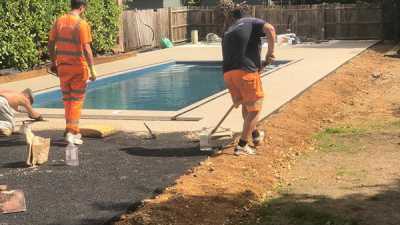 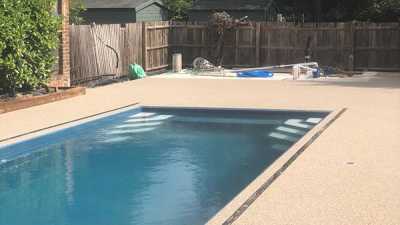 Whether it’s installing brand new swimming pool surfacing, or performing high quality pool restoration services, you can rest assured that our attention to detail and commitment to quality is second to none. 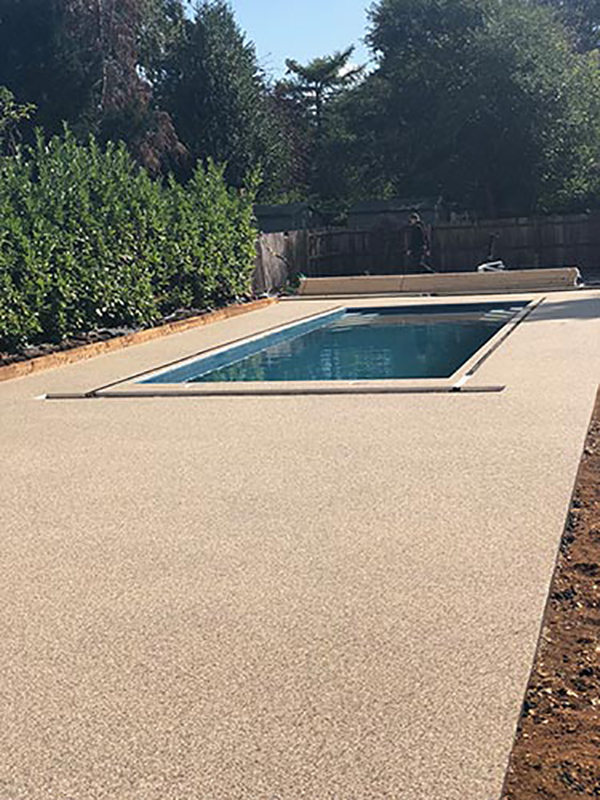 With many pool finishes available, our surfacing specialists will make sure your design is perfect for your needs before installation begins. 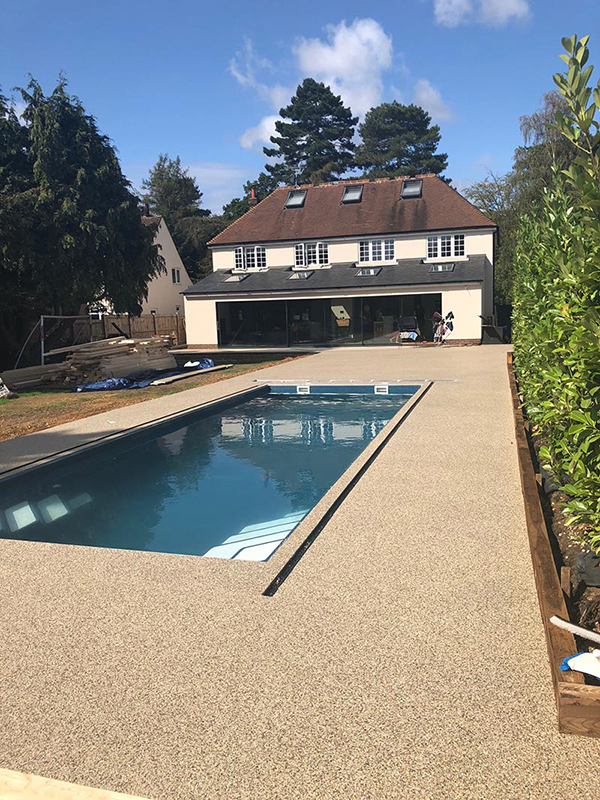 All our work is carried out to strict industry standards, and we endeavour to create an attractive, clean and high-performance surround no matter the shape or size of your swimming pool. 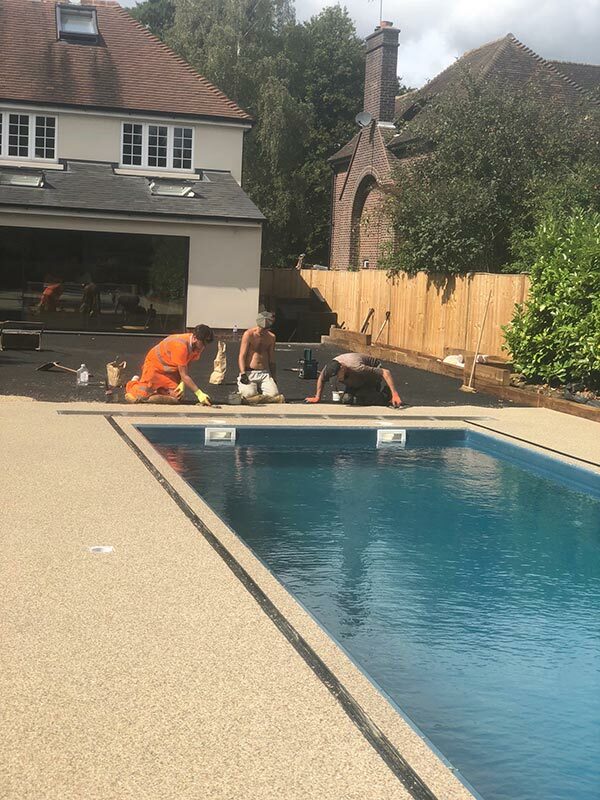 To discuss your pool resurfacing or pool surround installation with us, or to arrange a free, no obligation site survey, contact our friendly team today.